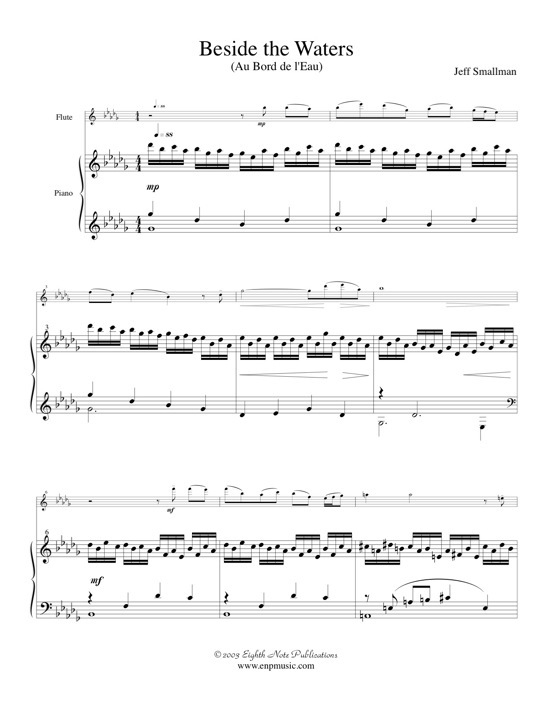 Beside the Waters is a transcription, by the composer, of an original solo vocal work. The text for this piece describes water flowing in a stream, clouds floating past, time standing still, and human relationships. Impressionist in style, from the very beginning, the sounds of flowing water and floating clouds can be heard in the piano accompaniment. The piece reaches a triumphant conclusion in the major key evoking the beauty and joy of human love.